DUBLIN CITY COUNCIL is to begin a fresh crackdown on illegal dumping in 2014 – and community gardaí will be coming on board to help. The council’s North Inner City Litter Action Group recently presented its ninth report to the Central Area Committee on its work examining the litter issues in the North Inner City. It has been working to identify the causes and sources of the rubbish problem, and is tasked with devising and implementing actions to “bring about a gradual and consistent improvement in the situation”. The North Inner City Litter Action Group (NICLAG) met recently with senior staff from the Waste Management Section to discuss the introduction of door-to-door checks in the central area. It was announced earlier this year that under new bye-laws, council staff can now call to the door of suspected illegal dumpers, and ask them what rubbish collection service they use. NICLAG said in its latest report that streets and properties have been identified “where constant littering and illegal dumping is taking place on a daily basis”. The group now plans to target these streets as part of its “blitz” in the Central Area, which will begin in January 2014. 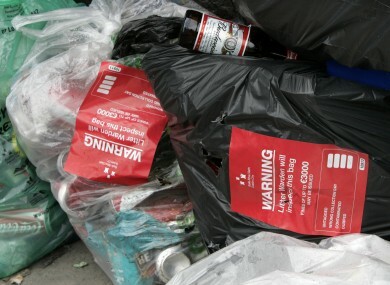 Under the new litter bye-laws, householders – including landlords – are required to be able to produce evidence that their rubbish is presented for collection by an authorised waste disposal company. They should be able to produce receipts proving this. Central area staff, authorised persons, and Litter Wardens will be calling to all houses in ‘black spot’ areas. They will have with them a questionnaire on how the households dispose of their waste. Community Gardaí have been asked to assist and accompany staff “in an effort to ensure there will be no aggressive behaviour”. They will also be there to ask the householders to identify themselves if they fail to co-operate with Dublin City Council staff. The householders who fail to satisfy Dublin City Council staff that they have an arrangement in place for household rubbish to be disposed of “in a proper and authorised manner” will be issued with a warning letter. This letter will detail what the householder needs to do in order to bring them in line with the bye-laws, and follow up calls will be made to such people. They will also be issued with warning letters to ensure that they have complied with the warning – and if they don’t produce satisfactory evidence, court proceedings will be initiated against them. The council will not be releasing details of the streets and areas that will be targeted until the inspections have been carried out. It is anticipated that a risk assessment will be conducted before they call to people’s homes. Email “Gardaí to assist Dublin City Council in 2014 "blitz" on illegal dumping ”. Feedback on “Gardaí to assist Dublin City Council in 2014 "blitz" on illegal dumping ”.